Finding the right shade of foundation might be easy for some, but the first step in getting the perfect makeup is having the perfect shade of foundation. For instance, if you are a warm skin tone, you look best in gold jewelry, whereas silver goes best for the cool skin tones. Warm skin tones should choose orange, yellow colors, along cream whites and ivory and the cool skin tones should stay closer to pinker pinks, blues, pastel colors and pure whites. If you’re lucky enough to be neutral skin tone, you can wear almost every color. Have a closer look at the insides of your wrist/forearms. Are your veins blue or green? You’re a cool if your veins are blue and a warm in case they are green. And, if you can’t decide if it’s blue or green, you might be neutral. If you burn easily in the sun and don’t tan easily, you’re a cool skin tone for sure. And…the other way around: if you can easily and don’t burn easily, you’re definitely warm. Knowing your skin tone is not the most important step when choosing your foundation, but also an important one for all your makeup. Cool skin tones should always stay away, for instance, from coral lipstick/blush and should use more pink pinks. This goes farther, when choosing your clothing, for obvious reasons. When choosing your makeup brand, it might come down to the money you want to spend. 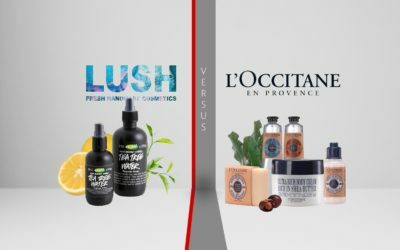 The market gives you nowadays a great range of prices for everything and high priced products doesn’t necessarily mean high quality. Furthermore, your skin might react better to a low priced foundation and might absolutely love a high priced moisturizer. So, it’s up to your pocket and skin to decide what works for you. Lancôme has created a foundation that is long lasting and comfortable. It has a new, blendable and fresh texture that leaves your skin smooth, velvety matte and no cakey effect. This foundation gives you a full coverage for any kind of skin problem: imperfections, acne scars, pores, and redness. 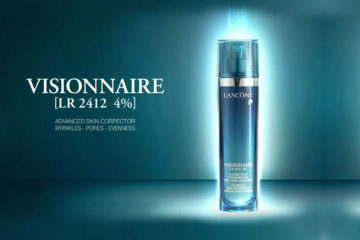 Lancôme’s Teint Idole Ultra 24h addresses to sensitive skin, acne prone skin and combination skin just as well. L’Oreal Paris brings on the market True Match Super Blendable Makeup that is a buildable foundation, giving full coverage. It comes with an amazing range of shades and is on the lighter side when it comes to texture. This covers blemishes, dark spots, and redness and goes on smoothly on your skin. 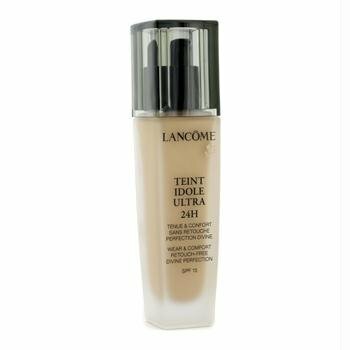 Lancôme’s Teint Idole Ultra 24h is oil-free, fragrance-free and non-comedogenic. It’s transfer resistant and it slightly oxidizes so it’s better to wait a minute for it to dry when choosing your shade. It gives no outbreaks and gives a flawless application. This is a lightweight foundation that doesn’t crackle and stays on even for 24 hours. L’Oreal Paris True Match doesn’t feel heavy on the skin and it’s easy to blend and buff. A little goes a long way and the foundation gives you a bright, natural look, without a cakey appearance. It doesn’t irritate the skin either and is pretty long lasting. 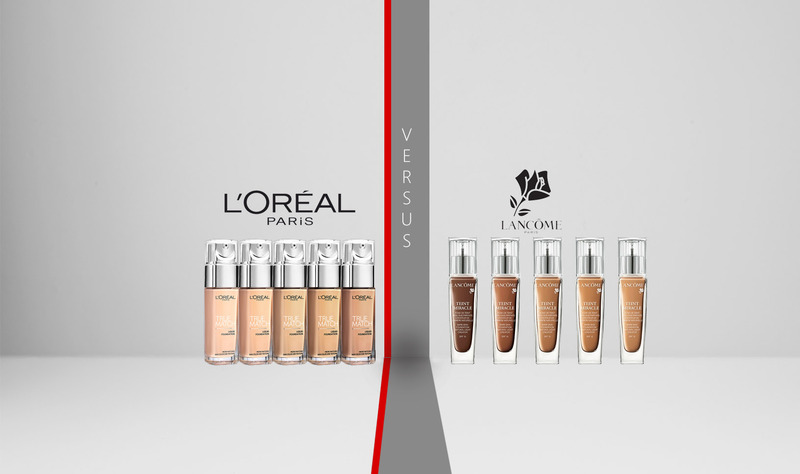 Both foundations give you sun protection almost in the same amount. It seems that L’Oreal Paris True Match is not for a heavy coverage and has a very thin, liquid consistency. It has no pump and some complained about the bottle size, which is too small. It also seems that L’Oreal Paris True Match is not very good either on the transfer, as it stains the clothing. L’Oreal Paris True Match works also on your skin as it contains Vitamin A and C and grape fruit that nourish and protect your skin. It has no oils or fragrances either and doesn’t clog your pores. 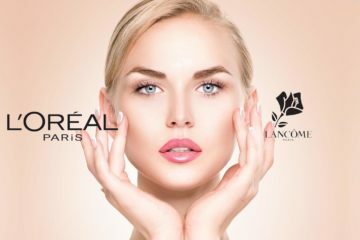 For the mature skin, that encounters various problems, Lancôme has created Renergie Lift Makeup, a liquid foundation that gives a younger appearance, radiance to the mature skin. Lancôme Renergie Lift Makeup is not too heavy, has SPF 20 and goes great for normal to dry skin. It’s made with Micro-Lift technology and contains vitamin E, both working on the more youthful looking of your skin. On the other side, L’Oreal Paris gives you Visible Lift Serum Absolute Advanced Age-Reversing Makeup a luminous makeup formula that also has anti-aging benefits. This foundation evens skin tone and doesn’t settle into lines and wrinkles. 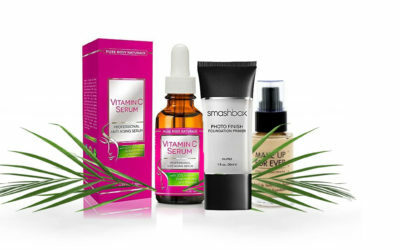 It contains five clinically prove age-reversing active ingredients. After all, it’s great to put makeup on and fight against aging at the same time! 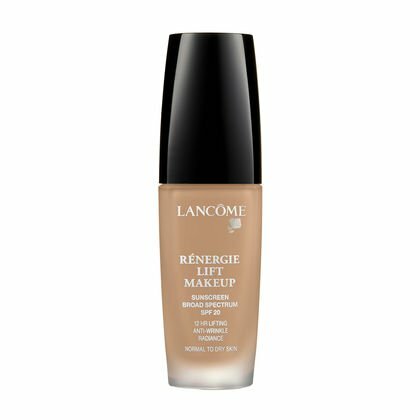 Lancôme’s Renergie Lift Makeup hydrates, smoothes and covers even the bog pores. It doesn’t settle into lines either and gives no outbreaks. It’s a buildable, long lasting foundation that has a subtle fragrance and works great on mature skin. You only need one pump of L’Oreal Paris Visible Lift Serum for the entire face- a little goes a long way. This foundation doesn’t turn orange after several hours and gives a light coverage. It blends well, is easy to use and provides you a pretty flawless look. It does rub off a little bit, but it does last the whole day. Your skin looks like velvet when using this and with no cakey appearance. It’s easy to wash it off. 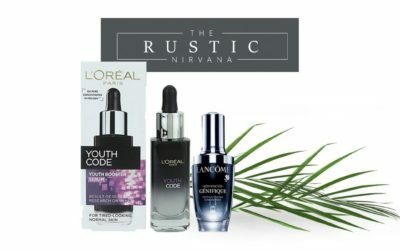 L’Oreal Paris created with this serum an absolute makeup that contains 5 advanced skincare ingredients: pro-retinol, pro-xylene, pro-lastyl, vitamin C and hyaluronic acid- all working against aging symptoms of skin. This also gives you sun protection, as it has SPF 17. As always, Lancôme’s Renergie Lift Makeup is pricier than L’Oreal Paris Visible Lift Makeup and it’s up to your pocket to decide which one to choose. If you really like your skin to have a matte finish, both manufacturers created great products. Lancôme gives you Dual Finish Versatile Multi-tasking Powder and Foundation makeup- that is a multitasking powder and foundation in one. This is an all-day long wear product, buildable with a great coverage from sheer to full. You can apply it wet or dry as it gives you a natural, matte finish. L’Oreal Paris gives you Infallible Pro-Matte Foundation Makeup that keeps shine and oil away. This is a lightweight, buildable foundation that gives a great coverage and doesn’t settle even in dry patches. 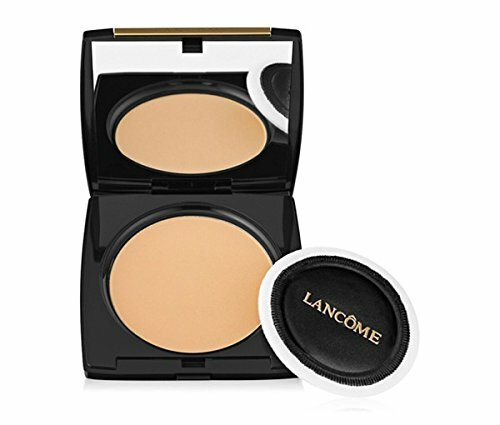 Lancôme Dual Finish Versatile Powder and Foundation gives a flawless look and goes great on mature skin. It has a strong fragrance but it knocks any shine. 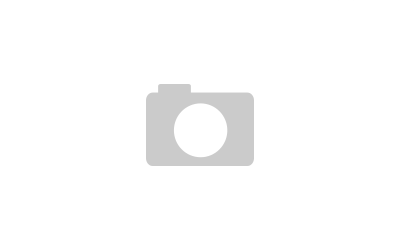 It blends well, feels nice on skin and doesn’t give a cakey appearance to the skin. For wet application, its emulsifiers function as a liquid foundation. As a pressed powder, this product contains emollients that give a non-drying result on your skin. No matter how you use it, Dual Finish leaves your skin silky soft, smooth and with a matte finish. L’Oreal Infallible Pro-Matte Foundation is lightweight, has no fragrance and gives a flawless coverage. It has oil-control properties and is long-wearing and transfer resistant. You need a damp beauty blender to apply it and a little goes a long way. Lancôme’s Dual Finish comes in 35 various shades and suits all skin types. It comes with its own puff applicator and a sponge for wet application. It doesn’t contain parabens, sulfates or phthalates. If we talk prices…Lancôme’s Dual Finish is definitely on the higher priced side.